After iOS 6 was released we were getting some intermittent issues where users where unable to view the icon on the home screens. We also created the update to support the larger screen on the new iPhone 5. If you would like to download the app, click here … or if you already have it and would like to update, head over to your App Store and click on Updates. - Fixed multiple bugs and corrected issues with iOS6. - Added support for the retina display and iPhone 5. 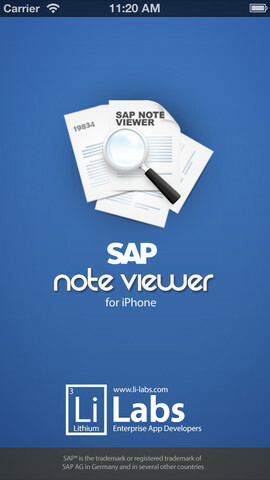 SAP Note Viewer for Mac What SAP Netweaver Gateway is NOT …. !